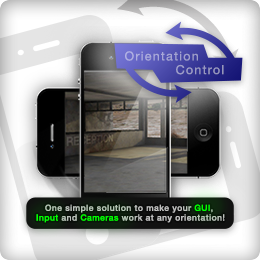 OrientationControl makes your GUI, Input and Cameras work at any orientation and any resolution! Simply select all device orientations you want to support and the game will softly rotate towards the new orientation when you turn the device. 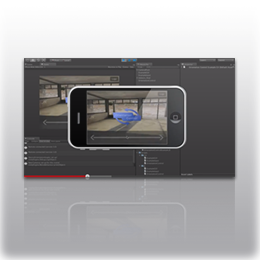 Detect retina-displays and load different sets of assets for normal and retina resolution. OrientationControl provides a way to use the same code for both resolutions - no double-coding needed! All scripts are provided in JS and C#. Unity's autorotation changes the rotation of the canvas, but it's not as nice-looking.